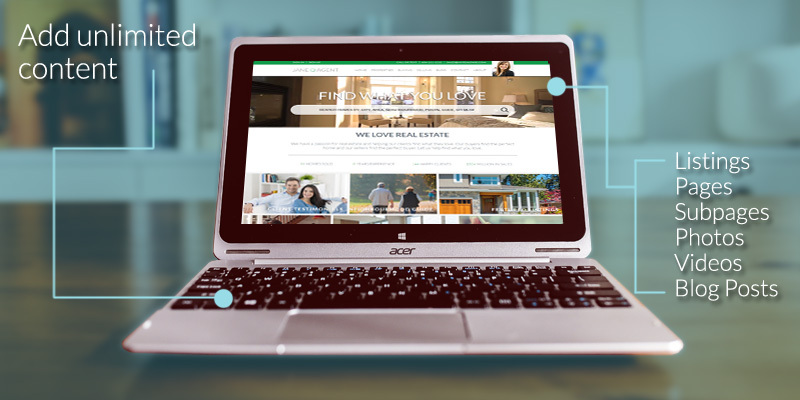 With myRealPage real estate agent websites, save yourself time and energy trying to put a site together, because we’ve already got everything you need. All in one place and ready to go. Customize it with your own content – and just like that, your site will be up and running in no time! Meanwhile, we’ve got you covered with everything else you might need, from domains, automated listings, MLS® Listing Search tools, lead generation, SEO tools. You name it, we’ve got it. Problems Our Real Estate Websites Solve? Save time and energy! Minimal set up required. Set it and forget it! Automated listings. 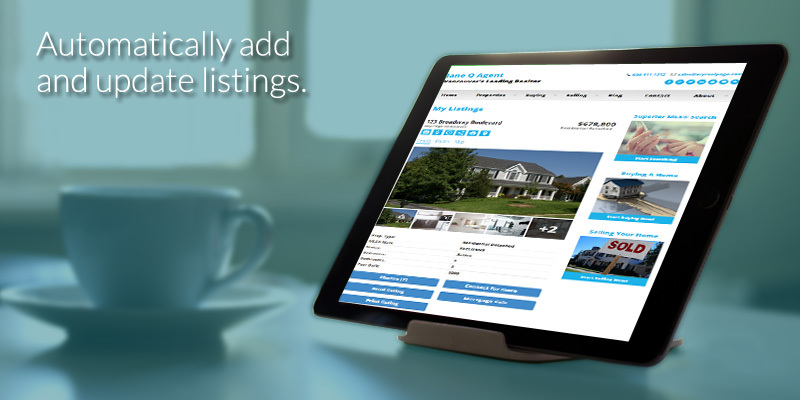 Never manually add or update listings again! Create unlimited custom and/or predefined searches within minutes. 100% Responsive themes. 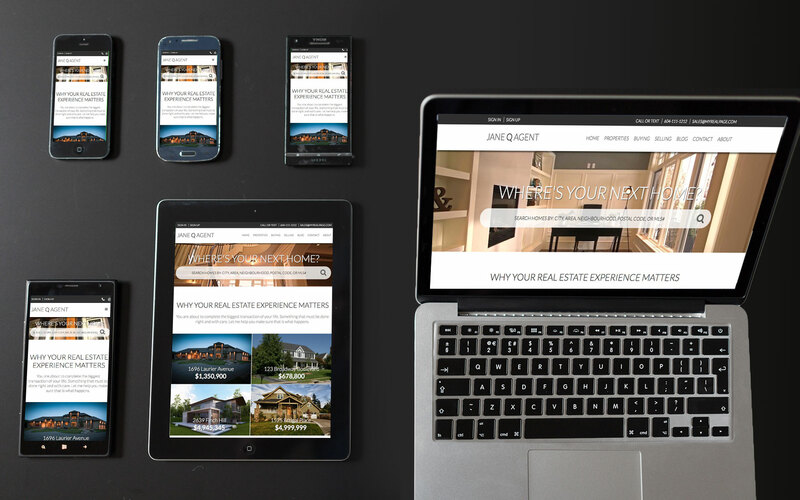 Your site looks perfect on ANY device. UNLIMITED number of listings, pages, subpages, blog posts, etc. SEO-friendly and built-in social media for easy online marketing! Easy-to-use interface for quickly editing your website. No coding required. Want a new look for your site? Swap in a new template with just a few clicks! Part of a real estate team? You can add all members of your team to your website. Including listings, contact information and biographies. Let us know when you order your site that you'll be adding more agents and we'll follow up with you. 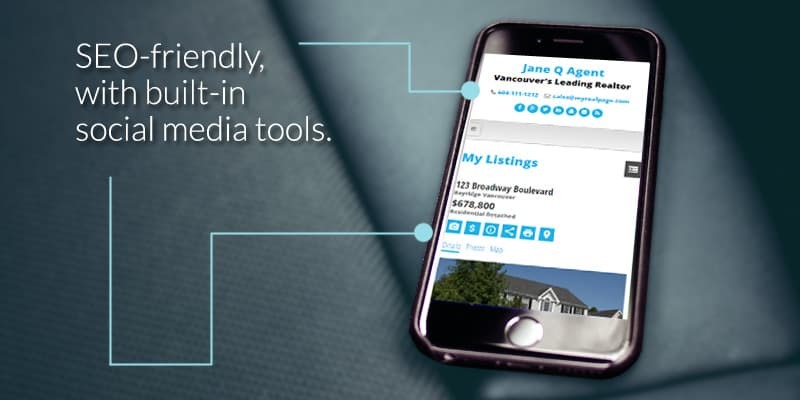 Initially I saw one of my colleagues use your company for one of their listings, I was impressed with how well the listing details & content were presented. I did my homework & found you have so much more to offer. I believe MRP offers a far superior listings tool than other competitor. The features that it offers – mapping, ability to create custom searches, etc. More importantly, MRP was very cooperative to work with us. I want to thank you all for getting everything done for me, from initial phone call to live website in 2 business days. Your team asked all the right questions so that we could utilize what I already had ready.